Cats and dogs in the same room? Expect a fight. Is this just another old prejudice? For the benefit of your household, we have compiled 7 tips to help you integrate cats and dogs under the same roof and help you find peace of mind. Cats and dogs in the same room? Expect a fight. Is this just another old myth? 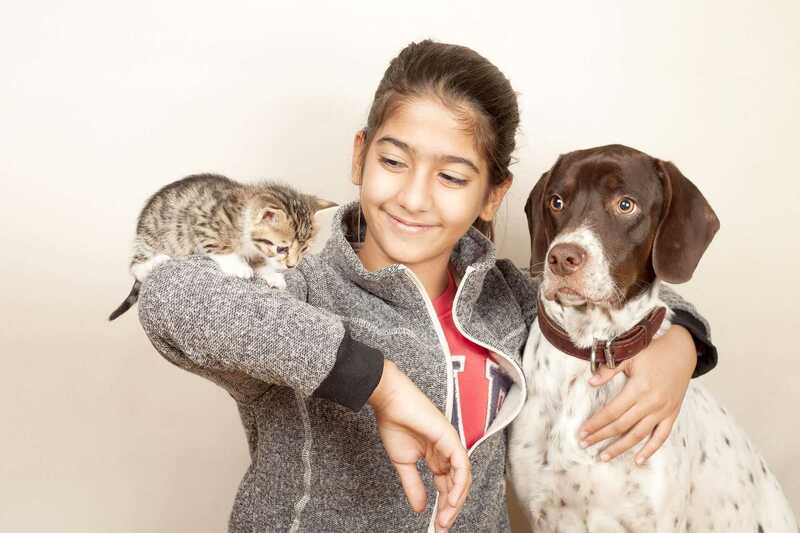 For the benefit of your household, we have compiled 7 tips to help you integrate cats and dogs under the same roof and help you find peace of mind. Getting cats and dogs to get along can be challenging. And this is especially true if one of the two joins your household after the other. Newcomers are known to be possible causes of chaos, and the combination of feline and canine can add complexity in the integration process. Can cats really be friends with dogs? It’s generally easier to welcome a cat into a dog household because the dog tends to see the cat as a pack animal. The true reason for the difficulties between cats and dogs lie in their different languages. If you would like to help your cats and dogs get along, you should prepare yourself well with the following tips. There is no reason why you should not adopt both a cat and a dog – all it takes is dedication and care. To make your life easier, here are 7 tips to follow during the integration process of a cat and a dog under the same roof. If you are thinking about having both a dog and a cat in your family, you must be a real pet lover! But as natural as this may sound to you, one thing you should not forget is to give attention to both your dog and your cat the way they need it. If you are used to being with a cat, you may or may not be familiar with the way a dog would like to receive attention. If a cat is joining a household where a dog lives, the cat should be placed in a dedicated room where the dog doesn’t have access to. Especially during the first months, this will lessen the cat’s anxiety and prevent the cat from feeling stressed. Make sure the cat’s litter box is an absolute keep-out zone for your dog and separate the dog and cat’s feeding bowls. At the beginning, spending mealtimes together can assist in the socialization of your dog and cat. But be careful: when you feed your dog and your cat, the cat should be kept separated from the dog while eating. Try and place your cat’s food bowl very close to a closed door, while the dog’s food bowl lays on the other side. 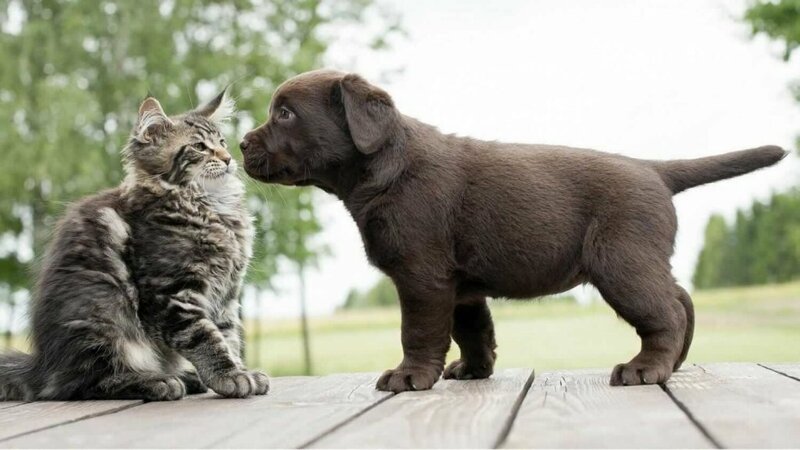 Cats and dogs can perceive each other’s smell. If they smell each other while both the cat and the dog are relaxed and happy, they will be more likely to accept each other. Another good idea to support smell recognition and acceptance is the act of swapping the pets’ bedding. When you first arrange the meeting of a cat and a dog under the same roof, you should not be alone. Ask a friend or a family member to assist you during the first few meetings between cats and dogs. Both animals could feel uneasy and you and the second person will be acting as moderators between the two. Monitor both animals reactions during the first encounters with each other. Normally, it is advisable to use a baby gate for the first encounters between your dog and your cat. This is a precaution against all possible unexpected reactions. If the dog starts barking excessively or trembles, your task will be to keep the dog calm and distracted. If the cat has flat ears, moves the tail without stopping and keeps a low position, this is probably the sign that you should slow down the encounter or find a diversion. The above tips are general behaviors to refer to when you welcome cats and dogs under one roof. Nevertheless, you should keep in mind that no matter how much effort you may put into the successful socialization of your dog and cat, things can, inevitably, go wrong. And when this happens, it’s most likely due to personality traits. It’s advisable to spend some time together with the newcomer before deciding to finally welcome the new dog or cat into your home. When you do, keep your home pet’s personality traits in mind. After all, during the integration process, you are the one who should believe in the success of it! Show yourself as confident about the decision and your dog and cat will feel it. Your emotions and calm energy will have a positive effect on the general atmosphere of the newly formed furry household! Liked what you’ve read? Leave a comment!